What are the 12 Steps of NA? Home › 12 Step Programs › What are the 12 Steps of NA? The 12 step concept started in the 1930s with Alcoholics Anonymous. This movement gradually bloomed into a very successful treatment program. Gradually people began to realize that this concept works for all addictions not just alcohol. 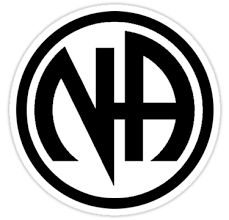 In 1953 the first Narcotics Anonymous group was established. This was the beginning of a long tradition of people helping people. What is Narcotics Anonymous or NA? Narcotics Anonymous can be a great source of support. Narcotics anonymous which is shortened to NA in most literature is a group of people coming together to help each other fight their narcotics addiction. The group welcomes all people who want to live drug free. They believe in two principles, which are taking one day at a time, and it takes someone who was an addict to help an addict. These two principles are the foundation of the 12 step culture. There is only one hard and fast requirement for joining NA and that is you have to want to stop using narcotics. It can give people something to do to alleviate the boredom due to excessive free time commonly associated with stopping drugs. These are not the only benefits of NA they are just a few of the most prominent ones. Each person takes what they need from attending the NA meetings. Admit that you are powerless over your addiction, that your life is now unmanageable due to your drug use. This step is sometimes called the hardest due to the admission that there is a problem. Believe in a higher power that will help to restore your sanity. This is viewed by some as a religious step and by others a spiritual one. In this step you understand that there is something higher than yourself that can help you. Give yourself over to that higher power. You accept that you cannot change on your own and that the higher power will help you to make the changes that you need to make in order to stop using. Make a searching and moral accounting of yourself. The accounting is also often called an inventory of yourself. You look at who you are and what is right and wrong about who you are. Admit to another person, yourself, and the higher power the wrongs that you did while using. The reason for admitting it to the higher power and another person is so there is someone to bear witness to what was done. Be ready to have the higher power remove the defects in you. This is a willingness to let go of the blame, responsibility, and unnecessary grief and allow the higher power to work on you. Ask the higher power to remove the defects. Asking is a way to psychologically give up the problems in your character so that you can change them. List all of the people you have wronged and how you have wronged them. This is a moral accounting of who you hurt and what you did to hurt them. Make amends when you can but only if it does not hurt the person. Sometimes making things right can hurt the person again. It is very important to the process not to cause more pain. Sometimes bringing up things opens old wounds in others. Continue to evaluate yourself and be sure to correct thing things you are doing wrong as soon as you can. You need to keep working toward improving and making things right in your life. Seek out the higher power through meditation and prayer and ask him to make his will known to you. This is to achieve a better relationship with both yourself and the higher power. After you have a spiritual awakening because of these steps, help others to do so as well. Once you complete the steps and understand them, continue in the organization to help others as you are helped. These are the basic 12 steps of NA. They might differ in the books and pamphlets between the different 12 step organizations but the idea behind them does not. Many people get help through NA whether they are in another type of treatment program or not. The 12 steps lead people to believing in something aside from themselves and show them that there is a way back from drug abuse and addiction. They give people hope and comfort. Many of the NA meetings are based around these 12 steps and how you can apply them to your life. Everyone takes something different from the steps and the meeting discussion can serve as a guideline to understanding them. Still have questions about the 12 steps of NA? Call us at 800-895-1695 we have answers.